A fascinating journey into the world of animals! 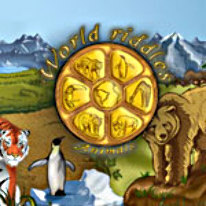 Go on a journey around the world in World Riddles: Animals. There are seven continents with over 120 levels waiting to be discovered. Play fun mini games as you learn interesting facts about animals.